Can you integrate with Infusion Soft? Yes, we have the option to integrate with Infusionsoft. Under the list of integrations, you will find Infusionsoft. 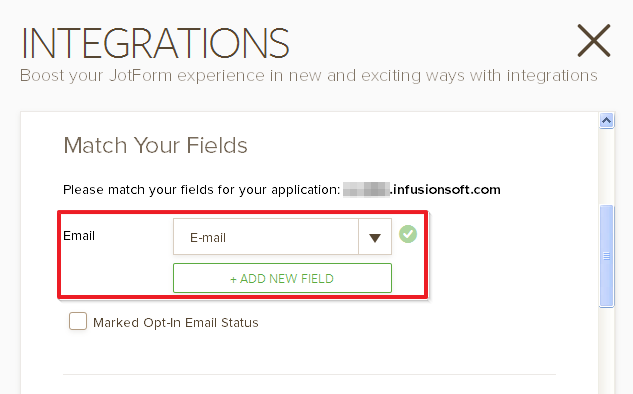 We do not have a guide for InfusionSoft integration, but upon authenticating your account, you can simply match up your form fields to the existing fields you have in your InfusionSoft app. 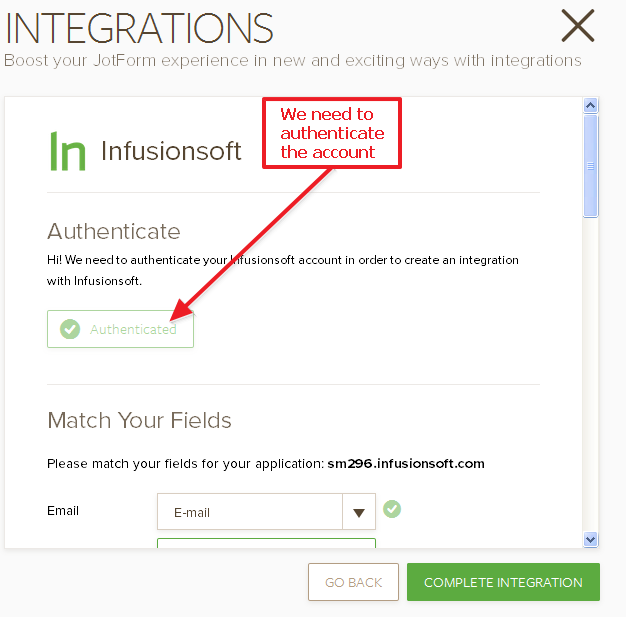 It will prompt you to log into your InfusionSoft account, and allow JotForm to integrate with it. 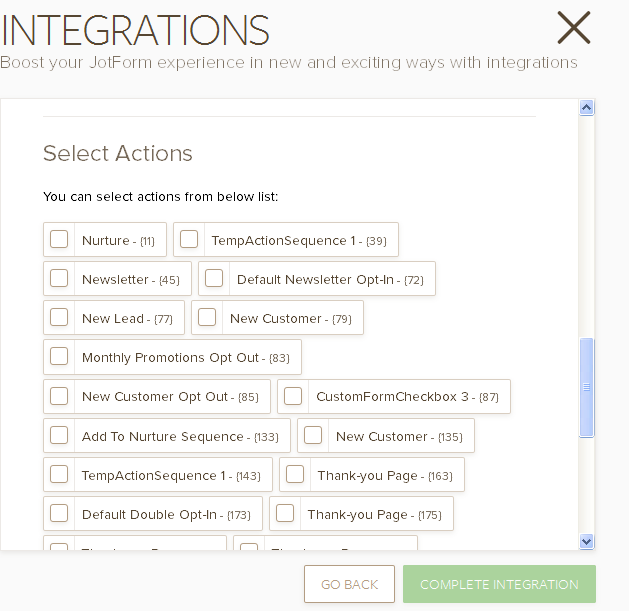 This is to say which form field from your JotForm form should be passed where in your InfusionSoft app. Note that both the tags and actions should be created within InfusionSoft. That should be it. 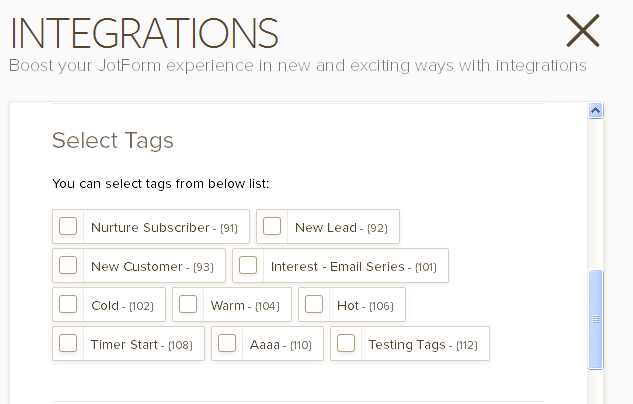 When you've set up your fields, tags, and actions, simply click on the Complete Integration button to set everything up.